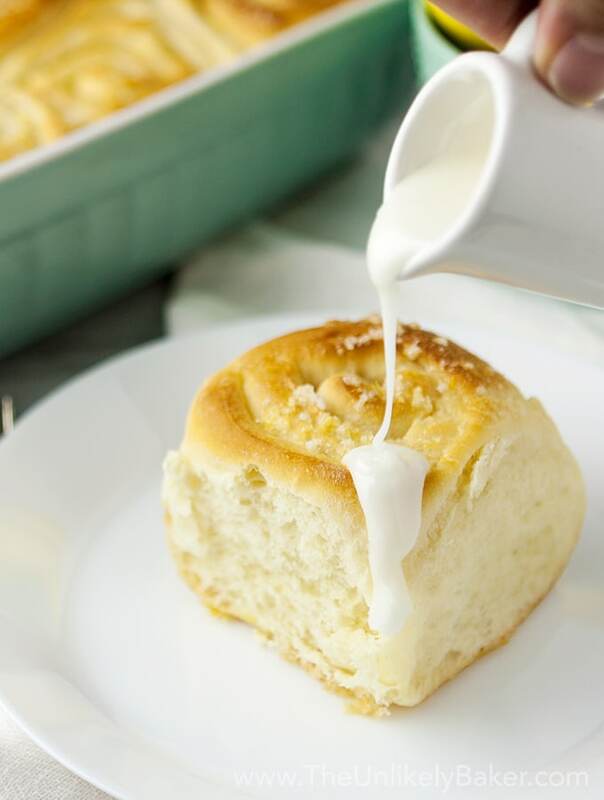 Lemon sweet rolls – buttery, lemony bread rolls glazed with a scrumptiously lemony glaze. Light, fluffy, a perfect springtime treat. Hi! Hope spring is treating you well. 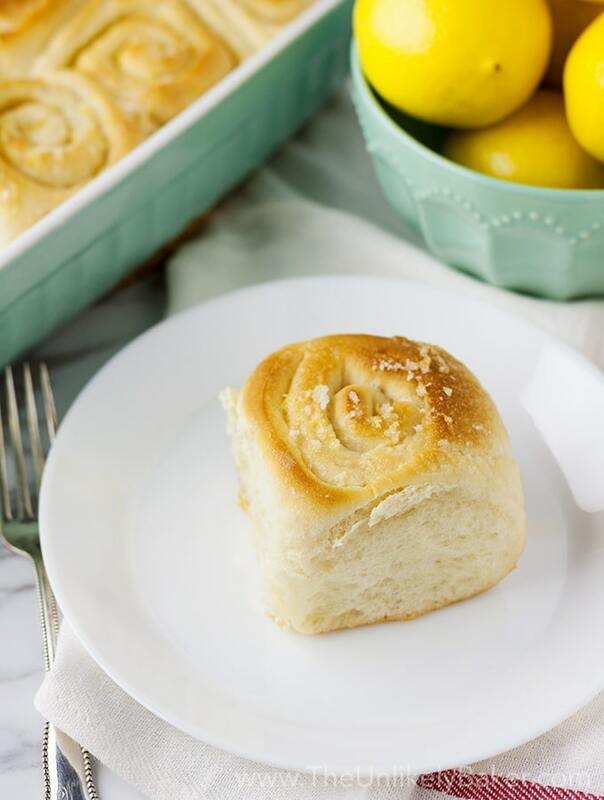 If it’s still chilly and snowing like where we are, these lemon sweet rolls are sure to bring some much-needed warmth and sunshine into your kitchen. 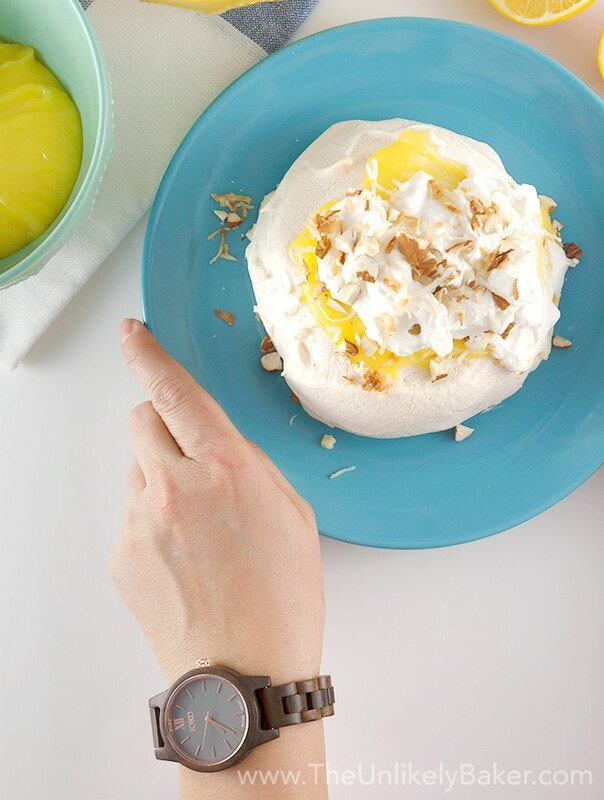 It’s bright, light, lemony, a perfect spring (or year-round!) treat. I just love lemons and everything lemony. I love it so much I consciously decide not to bake lemony things all the time. Otherwise, it will be lemon expo here every week! That changes now. Today we’re having these delightfully light and fluffy lemon sweet rolls. I made a lemony glaze to go with it but it’s really quite delicious on its own. I actually couldn’t decide what to call this recipe. It’s really not a lemon cinnamon roll because there’s no cinnamon in it. And according to Google, lemon bread rolls is not a thing (seriously). So I went with lemon sweet rolls. Whatever you call it, it’s delicious! Light and fluffy and just the perfect lemony flavour. But, do you want it lemony-er? Looks like there are lots of lemon fans out there like me! I think it’s that delicate balance of sweet and tart. I do get feedback from you guys saying how you added more lemon juice or zest to a recipe to amp up the lemon flavour even more. And I think that’s awesome. First, I love hearing from you. And more importantly, baking is fun! So go and make it the perfect cake or pie or cookie for you. So back to this bread recipe. You’ll notice that this is the same basic dough recipe that I’ve used in my Ube Bread Rolls with Toasted Coconut and Easy Ensaymada Recipe (Filipino Sweet Cheesy Brioche). It’s a fantastic recipe to have around. It’s a great base for all your bread experiments. Don’t be intimidated by all the steps, it’s really quite simple – just a little planning is all it takes. And before you know it, you’ll be baking your own bread and these lovely little lemon treats will be in your oven. 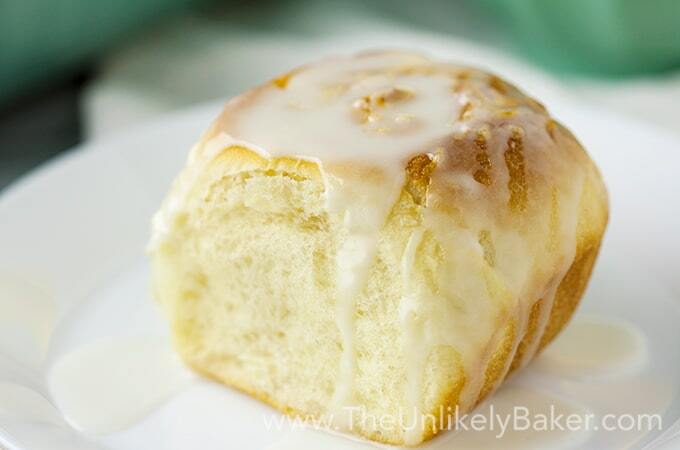 Lemon sweet rolls - buttery, lemony bread rolls glazed with a scrumptiously lemony glaze. Light, fluffy, a perfect springtime treat. In a measuring cup, stir 1/2 cup warm water, 1 package active dry yeast and 1 teaspoon sugar until dissolved. Set aside and let stand until bubbly (about 10 minutes). In a medium saucepan on medium heat, warm 1/2 cup milk until you see bubbles forming at the edges. Remove from heat and stir 1/4 cup sugar, 1 teaspoon salt, and 1/4 cup butter until the butter has completely melted. 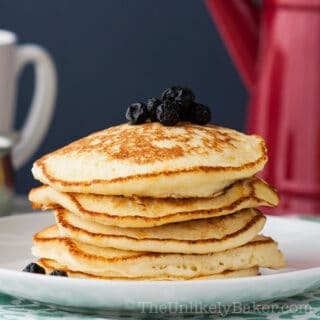 In a large bowl, combine your yeast mixture, your milk mixture, eggs and 1 1/2 cups flour. Stir until combined. Proceed to add the rest of your flour 1/2 cup at a time combining well after each addition. Once the dough starts pulling and sticking together in a ball, transfer it into a lightly floured surface and knead until smooth and elastic (8-10 minutes). When in doubt, knead some more (see note 1). Oil a large bowl with 1 tablespoon canola oil. Place your dough in the bowl and turn to ensure the whole dough is coated. Cover with a damp cloth and allow to rise in a dry warm place (about 90F, see note 2) until it doubles in size (about 1 hour). Using your fingertips, rub 1/2 cup sugar and 3 tbsp lemon zest together until the zest releases some of its oil and the mixture becomes fragrant. Set aside. When your dough is ready, transfer it into a lightly floured surface and roll into a 12x14 inch rectangle. 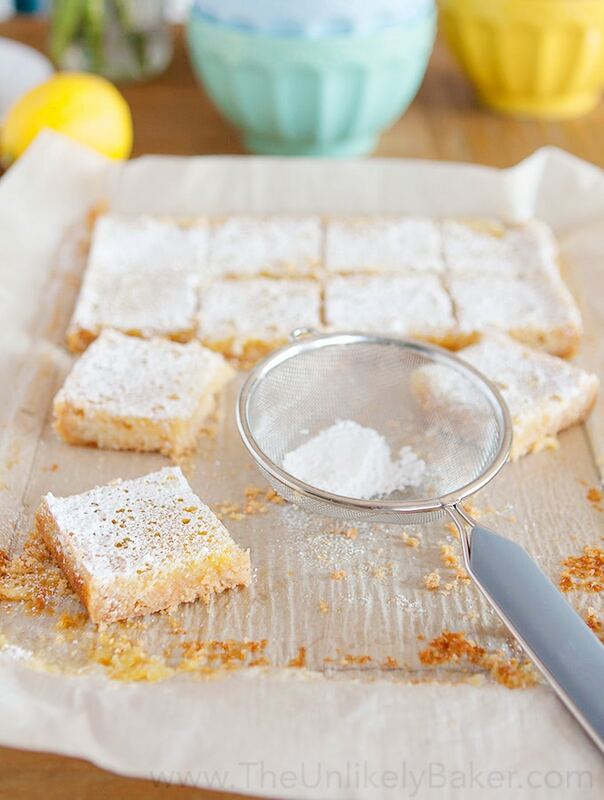 Brush the dough with melted butter then sprinkle 3/4 of your lemon sugar, leaving a half inch border around. Tightly roll the dough and pinch the seams to seal. Brush with more melted butter. Cut the roll into 12 pieces and place cut side down on your 9x13 inch baking dish. Space them out evenly to allow the dough space to rise. Cover and let rise for another 30 minutes to 1 hour. When your rolls are just about ready, preheat your oven to 375F. Sprinkle the rest of your lemon sugar over the rolls and bake for 20 minutes or until golden brown. 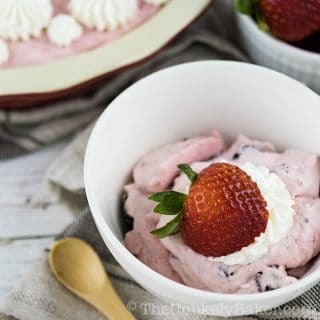 To make the glaze, simply whisk all ingredients together until smooth and incorporated. Taste and adjust the tartness (by adding more lemon juice) or sweetness (by adding more sugar) as desired. Pour over the rolls before serving. You can certainly use the dough hook attachment in your stand mixer or the dough blade in your food processor when making bread. I just prefer doing the mixing and kneading by hand so I have more control and I have less chance of over-kneading it. When making bread, I use my pre-heated oven as my "dry warm place". What I do is turn it on for a few minutes then turn it off so that it'll be about 90F when I'm ready to put my dough in to rise. Just remember to remove the dough from the oven when you're ready to actually preheat for baking. Did you make lemon sweet rolls? I’d love to hear from you in the comments section below. Love pastries and this one looks so delectable!I actually haven’t tried lemon pastries before but it’s always nice to make a homemade one so will try to see if I can whip this one up.. Thanks for the recipe! Oh wow, these look delicious! I’m the same, I love anything lemon-y! Your photos are making my mouth water! These look absolutely delicious. Thanks for the recipe! 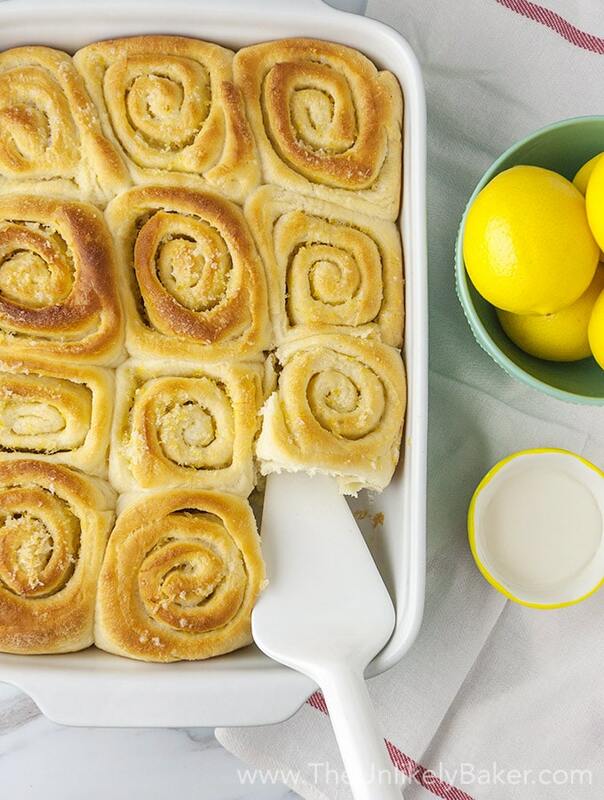 This Lemon sweet rolls recipe looks so delicious. I definitely have bake it for my family, thank you. Oh my goodness! The glaze has my mouth watering! I can’t wait to make this. Yum! I like this non cinnamon twist on a sweet roll. I bet they smell just like spring as they bake! How have I never heard of Lemon sweet rolls? They sound and look amazing! 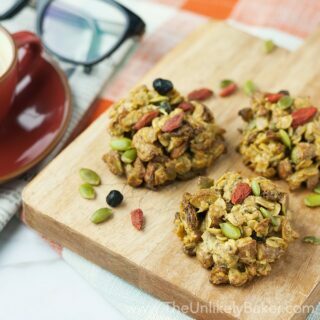 I’m going to try to veganize your recipe, because I’ve got to try these! I am hungry seeing the pictures. These look so tempting . I am going to try this as home soon. Oh boy! Now I want sweet rolls! I’ve only tried them a few times but never made it myself. They’re really easier to make than they seem 🙂 Hope you enjoy making and eating them! These look absolutely amazing! 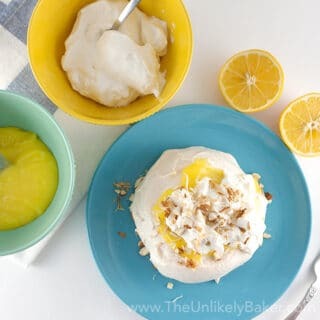 I love lemon desserts too, and the fact that these are light and fluffy make me want to try these immediately. I enjoy sweet rolls but not as much when they are very heavy and dense. Lemon desserts are the best aren’t they? I like the dense dessert once in a while but I prefer light and fluffy as well. These look delicious! I love sweet rolls but I’ve never tried them with a lemon flavor before. Oh my gosh these look AMAZING!!! 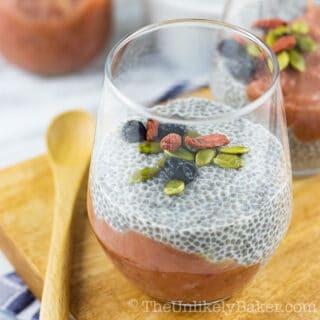 I love similar things but have never had homemade but now I have to try this recipe. This looks amazing!! 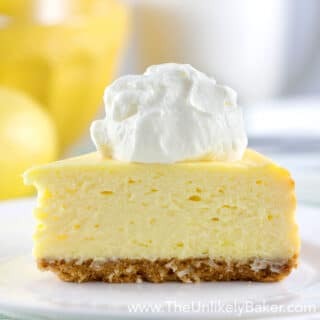 My favorite type of desserts are anything to do with lemon!! I am not much of a baker though so this may have to go in the book to try on a weekend. I love lemon flavoured bakes goods! These look really delicious! I don’t think I’ve ever tasted anything like this but it looks delicious. Taking down this recipe for sure! Guess what we are having for breakfast this weekend?!? My son loves cinnamon rolls, but I’m almost certain these will be the new fave. Hope you guys like them! They are perfect spring treats. I love lemon flavored stuff, these sweet lemon rolls look so delicious. I will have to make them for the trio this weekend. I am curious if they’ll love them! This is inspiring all of my week’s baking projects! I’d probably go heavy on the lemon and the glaze on these, because I adore citrus and sugar. Can’t wait to try these yummy rolls! I love all things lemon too! My parents have great citrus trees, so we always have access to lemons. These sweet rolls are happening. 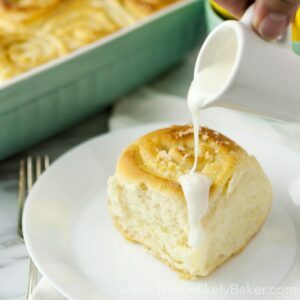 I love lemon desserts and these rolls look amazing. I think they’d be a perfect treat for a spring brunch. I’m going to Pin this recipe for later. These look so good! I love the taste of lemon in the spring. 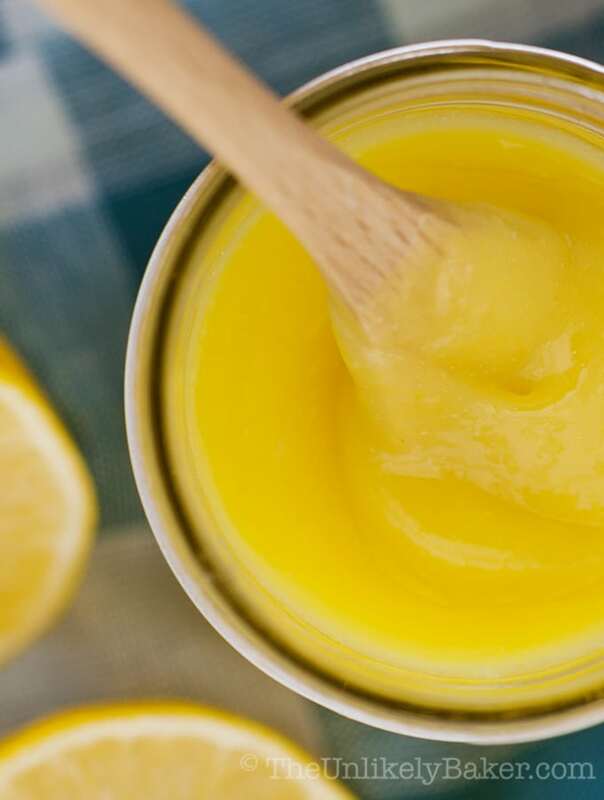 Lemon is a perfect flavor for spring! Your buttery, lemony bread rolls glazed with a scrumptiously lemony glaze sound and look absolutely appetizing!